This elegant edifice in Sumter is the third sanctuary to serve the congregation of the First Presbyterian Church of Sumter, formed in 1823. The church was the second organized in what was then called Sumterville; the first was First Baptist Church of Sumter in 1813. First Presbyterian is the daughter church of historic Concord Presbyterian Church, which was founded just outside of Sumter in rural Concord Springs. Today the area is considered part of Sumter. 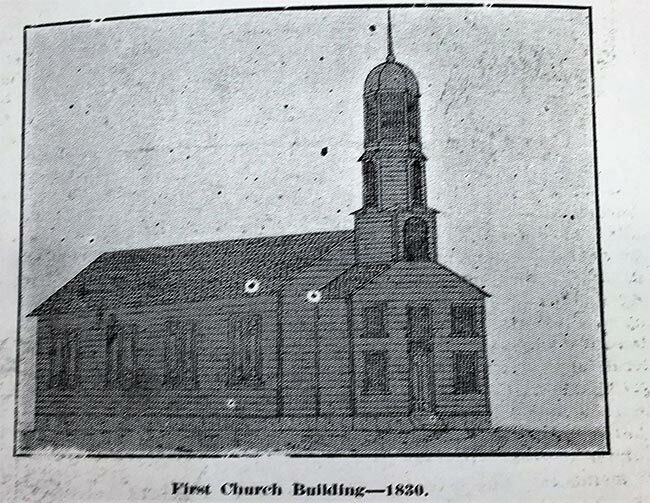 The congregation was able to build its first house of worship by 1830. However, within 20 years a larger building was needed; the arrival of railroads brought more commerce – and residents – to the district. 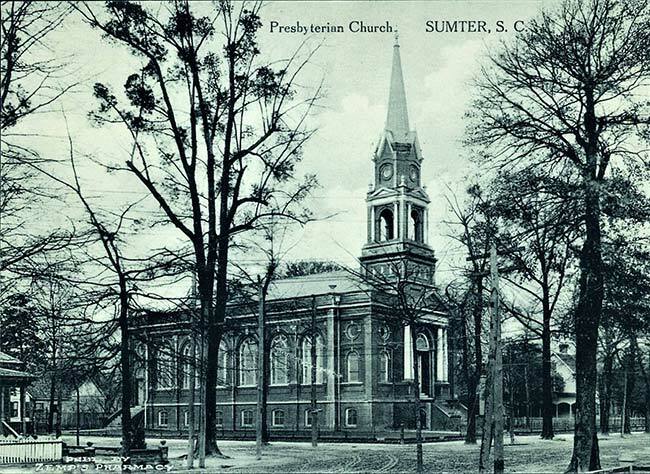 In 1850 a new church was built for the Presbyterians of Sumterville, which was incorporated just five years before. The town reincorporated in 1855, abbreviating its name. 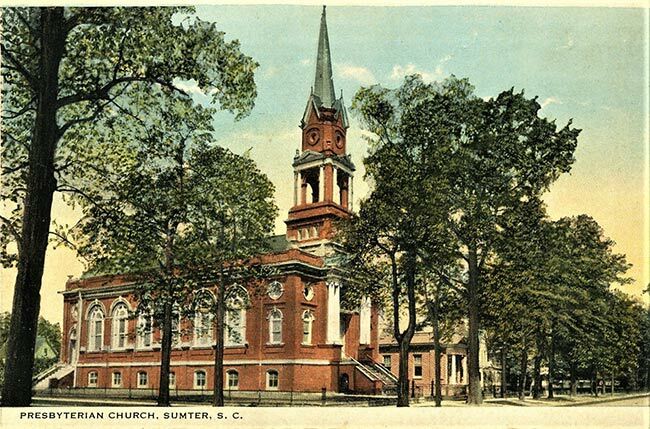 The population of Sumter continued to grow throughout the nineteenth century, thanks to its prolific cotton industry, its central location in the state, and its railroad. In fact, its convenient location rendered the town a military supply distribution center for the Confederate army during the Civil War. By the 1900s, Sumter was a commercial hub for the tobacco, cotton, and railroad industries. 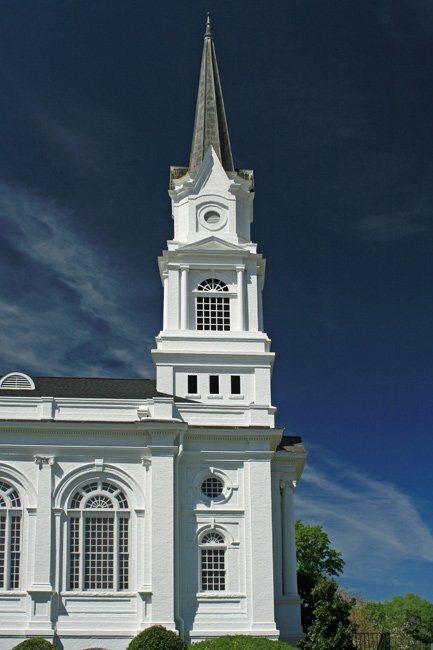 The town’s thriving economy led to a still greater population, and yet another church was needed for First Presbyterian. The current sanctuary was built in 1907; its red-brick facade was later painted white. It was renovated in 1951 and again in 1988, and the congregation added an educational building and youth center to its grounds in the later part of the twentieth century. First Presbyterian Church of Sumter has operated a preschool from its church campus since 1946. 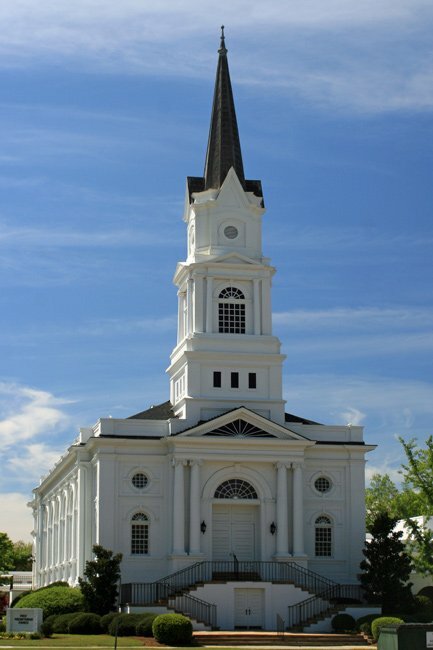 The church is a member of the Presbyterian Church in the United States of America (PC-USA). 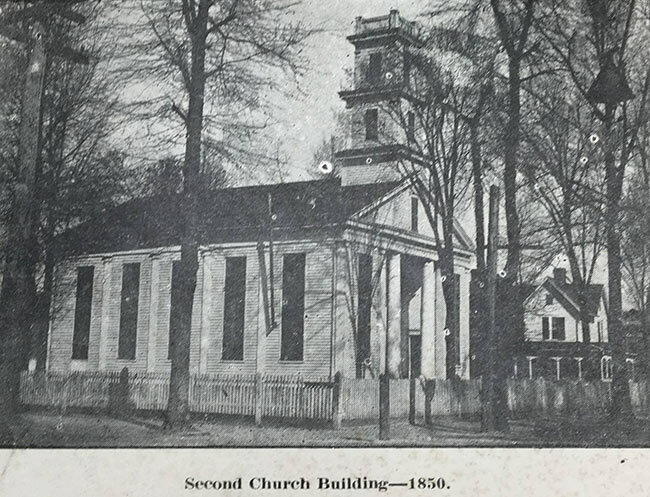 The following photos were contributed by Wilson McElveen from a printed booklet titled An Outline of the History of the Presbyterian Church Sumter, SC May 29, 1823 – May 29, 1923.